The Spanish white fishing village Conil de la Frontera in southern Andalusia belongs to the province of Cadiz and is situated on the Atlantic coast between Tarifa and Cadiz on the Costa de la Luz, the coast of light. 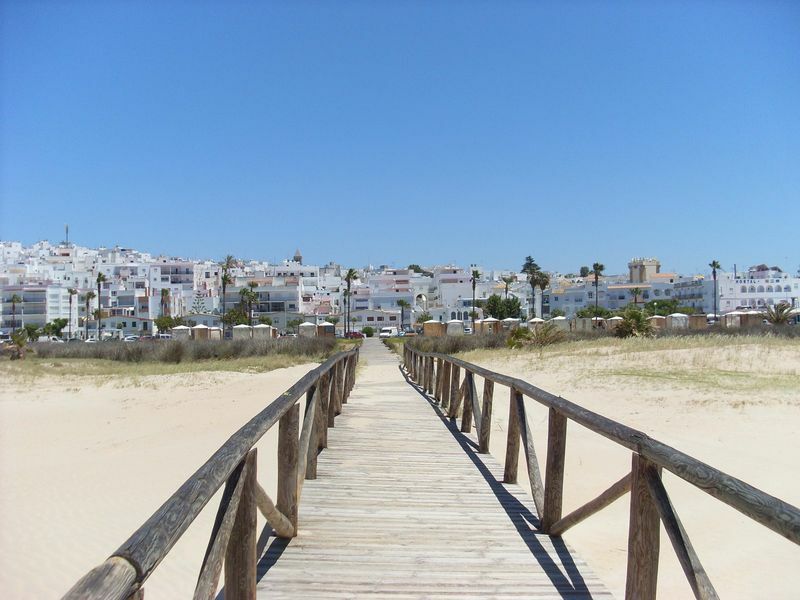 Conil is one of the famous white villages (pueblos blancos) of Andalusia and has retained its Andalucian charm. Fishing, especially the tuna fishing Almadraba, and agriculture in Conil plays a big role for it’s finances. Tourism is good and international, in summer, the main holiday period in Spain, the place is lively and full, but the beaches can absorb the crowdes. The golden sandy beach with crystal clear water is one of the most beautiful beaches on the coast of Spain. For surfers a paradise with good wind conditions. Its rocky coastline with hidden coves that can be reached by stairs invite you to relax and sunbathe. In the historic center of Conil there are many flower-decked alleyways with tapas bars and restaurants, the white traditional houses and beautiful courtyards will charm you. The restaurant association in Conil organizes various events annually and offers its specialties of the region where they serve for example the famous red tuna Almadraba, it is available in different variations especially as Tapas. Moreover the vegetables and other delights of the area are offered. 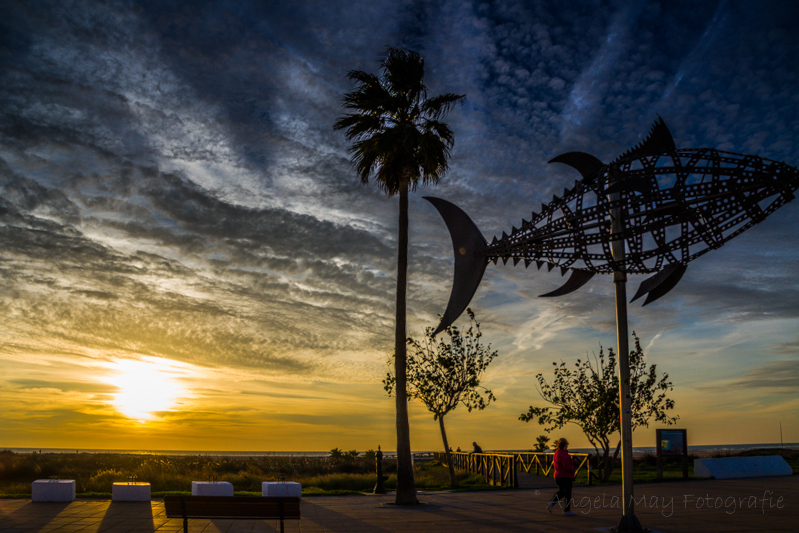 Known as the Ruta de la Tapa, Ruta del Retinto, Ruta del Atun and the Jornada Gastronomica de la Huerta de Conil and attract many guests to the area. In this region you will find many good quality restaurants with quality produce. The Feria of Conil takes place beginning September. Young and old get together and celebrate the feria until early in the morning. The children enjoy the carousel. In June takes place the Feria „El Colorado“.